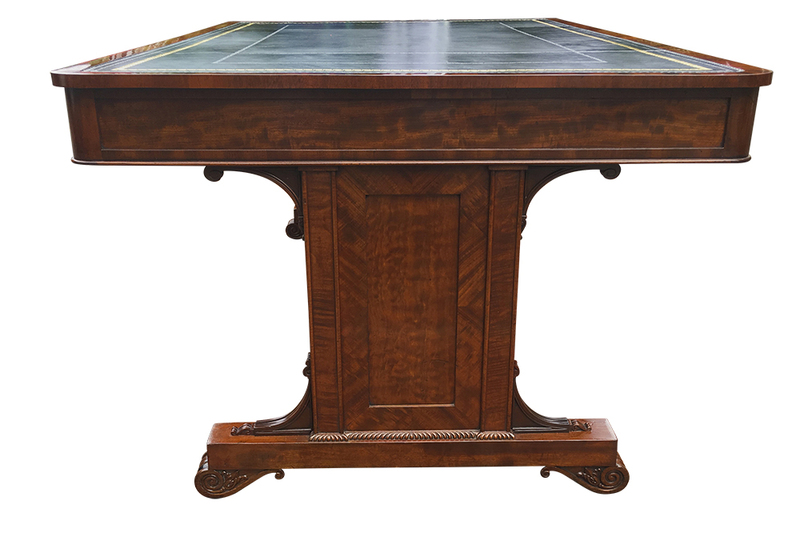 A rare and stunning quality library table made from the best quality mahogany timbers. 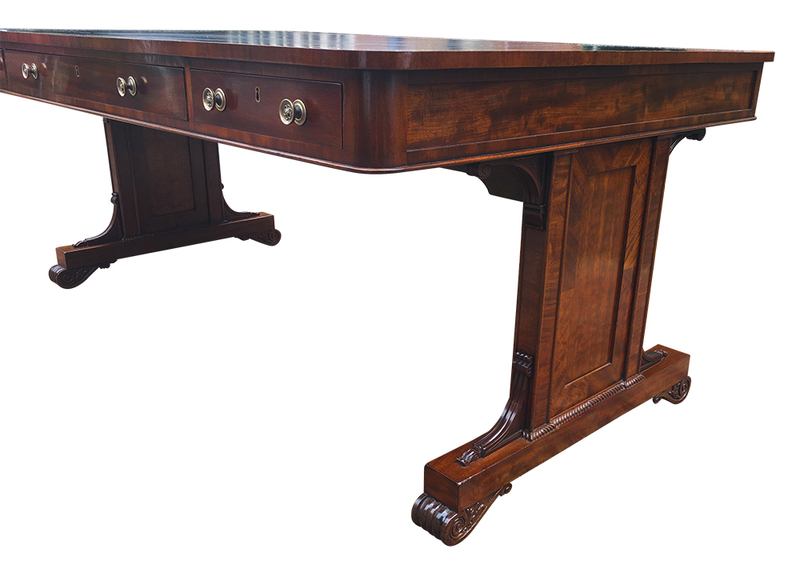 This partners library table or desk is a very good size; 66 inches (168cm) wide by 42 inches (107cm) deep and is in beautiful condition. 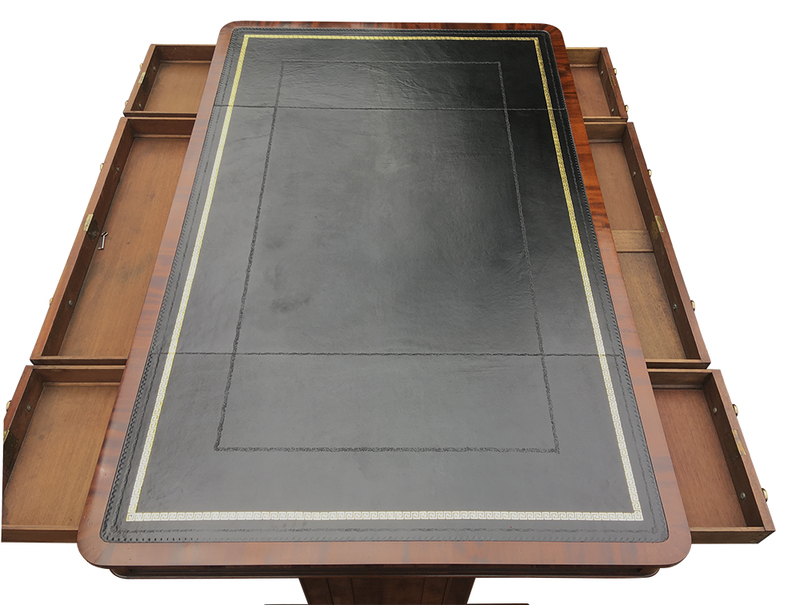 It has three drawers to each side, rounded corners and a replacement black writing leather writing leather with gilt and blind tooling. 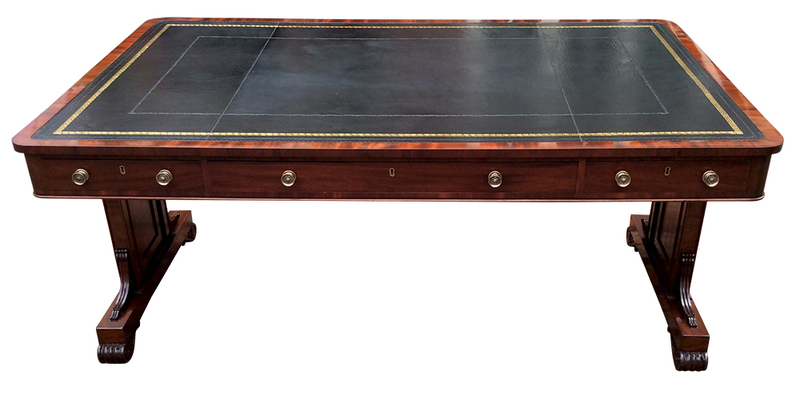 This antique Regency library table would make a very handsome statement desk in a large office or library. 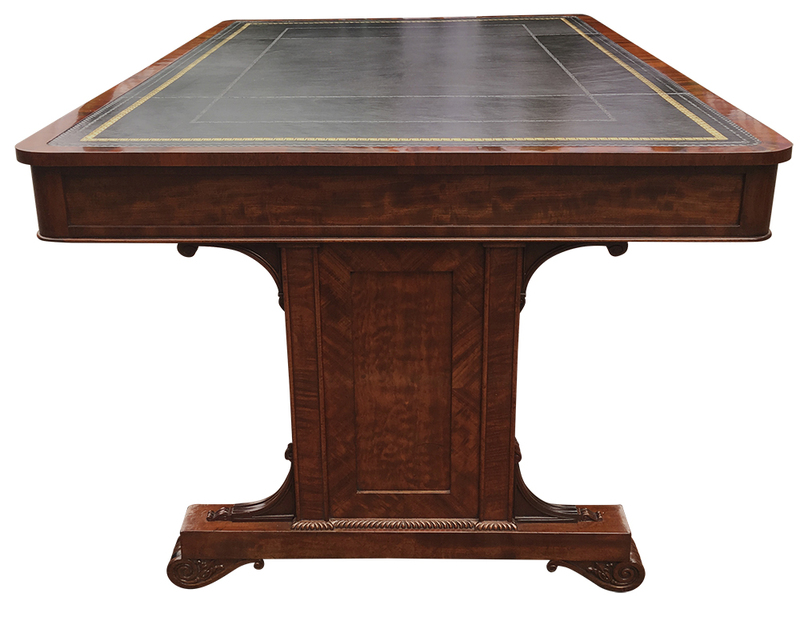 This top quality Regency library table or desk is made from the best quality, beautifully figured mahogany timbers. 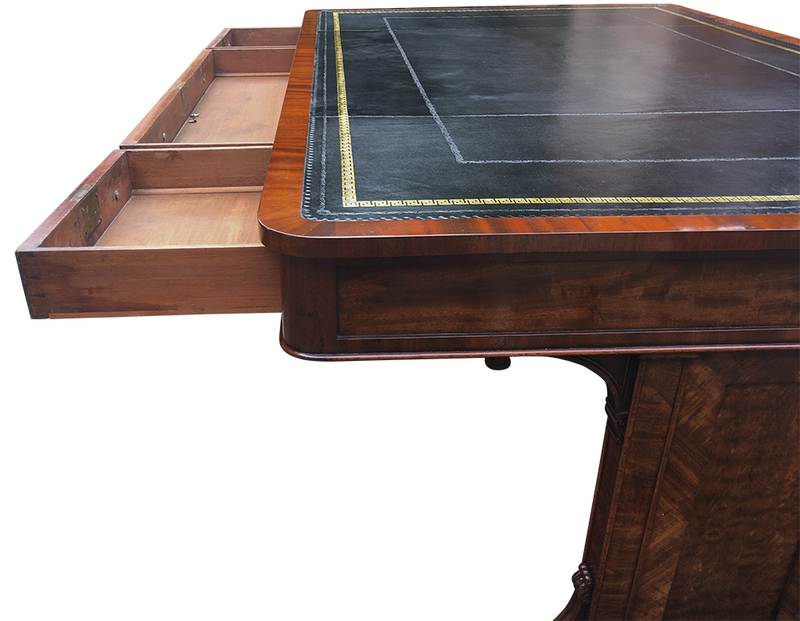 The top has rounded corners with a crossbanding of mahogany surounding a replacement black leather surface with gilt and blind tooling. Beneath the top there are three drawers to front and reverse all with mahogany linings, hand cut dovetail joint , old brass locks and replacement ornate brass knobs. 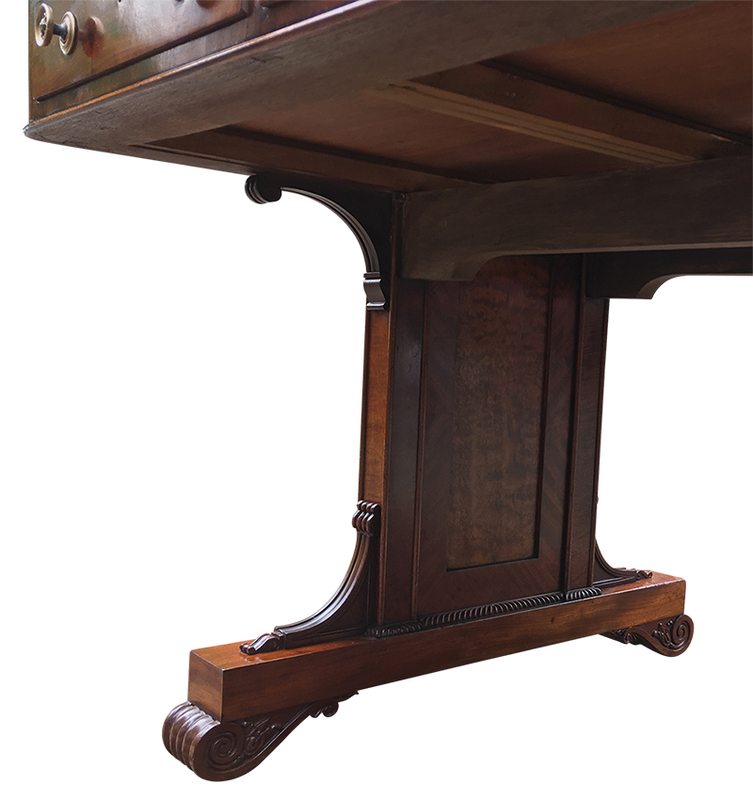 The table stands on panelled end standards with reeded supporting brackets and dragooned lower border. The platfoorm bases to the end standards are are fitted with carved scrollling feetwith the original hidden castors. 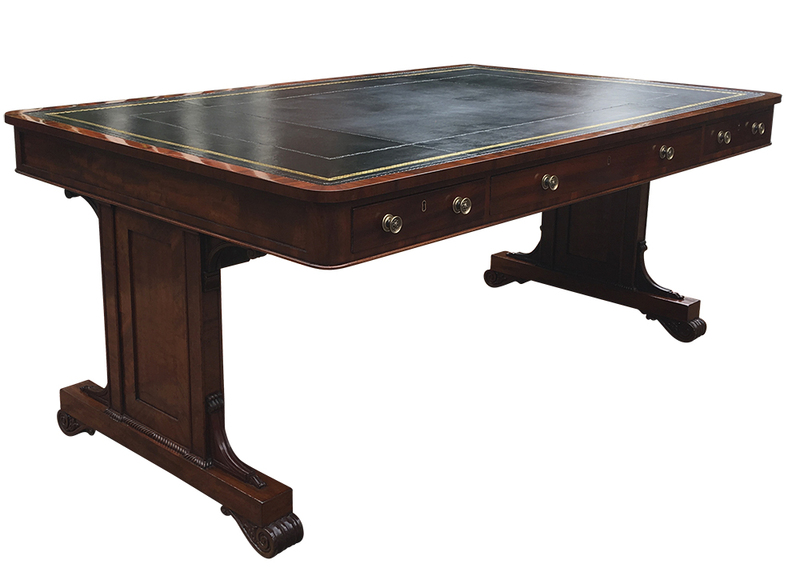 Tables of this size and type are rare and this is a beautiful example in lovely condition. 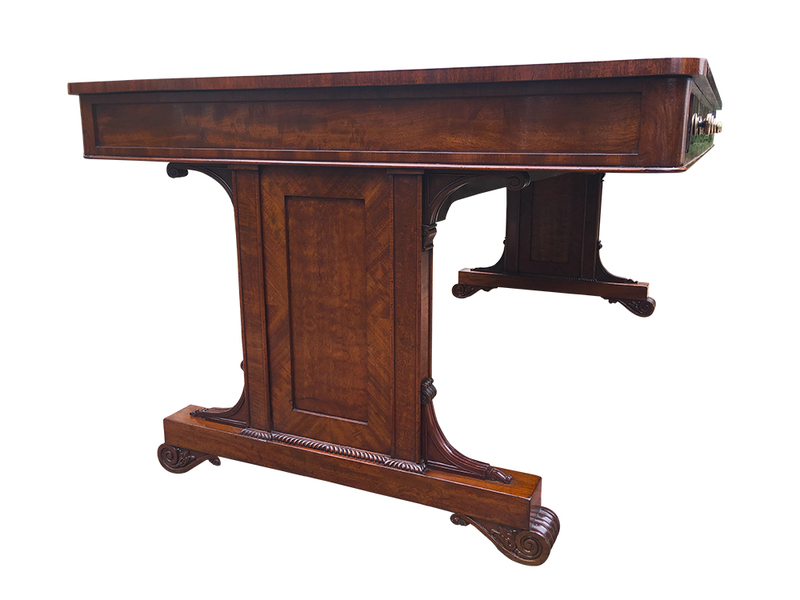 The desk has been professionally cleaned and french polished to enhance the beautiful figuring of the mahogany timbers. 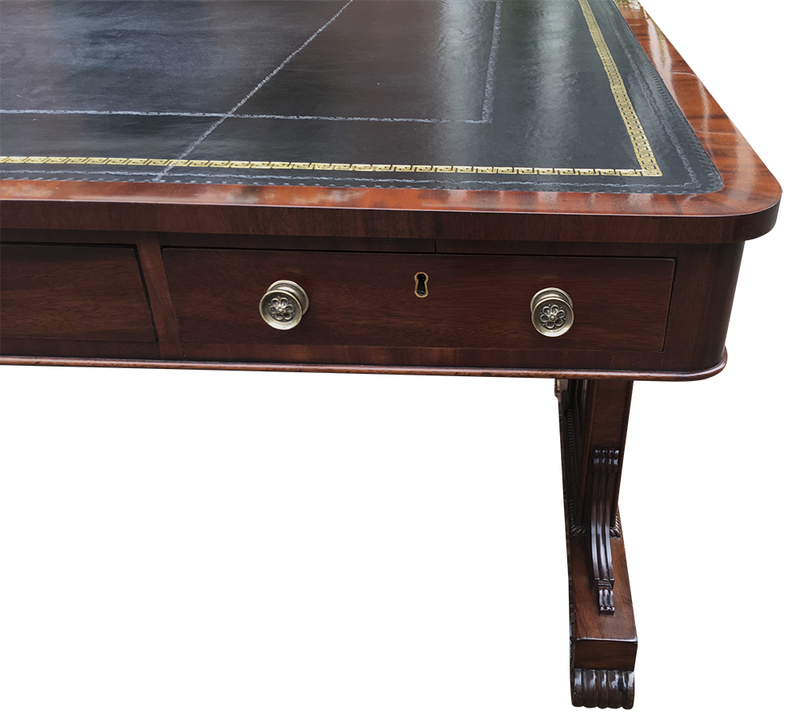 This rare antique Regency desk or partners library table would make a stunning stunning focal point in a large office or library.